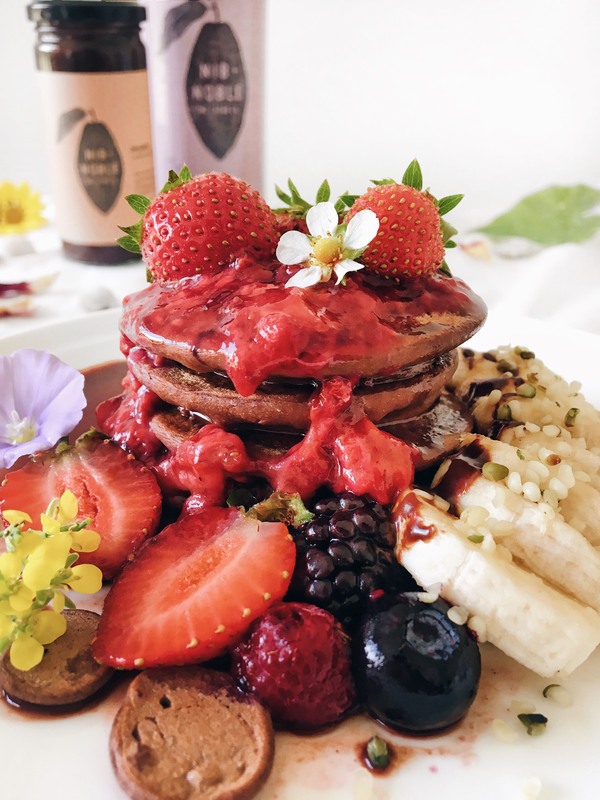 These are the pancakes you have been searching your whole life for, Gluten-free Vegan Buckwheat and Chai Pancakes! Perfect for when you feel like a treat or as a surprise for a loved one for a special breakfast! Set the mixture aside for 10minutes. Whilst set aside, heat the frying pan with vegan butter at medium-high heat. Add 2 tablespoon portions of the pancake batter to the frying pan and cook the first side until bubbles start to appear (approx. 2-3minutes). Flip and cook the other side for another 2-3 minutes, then transfer to a plate and enjoy!